WHAT'S THE STORY BEHIND MADDIE & HER FRIENDS? 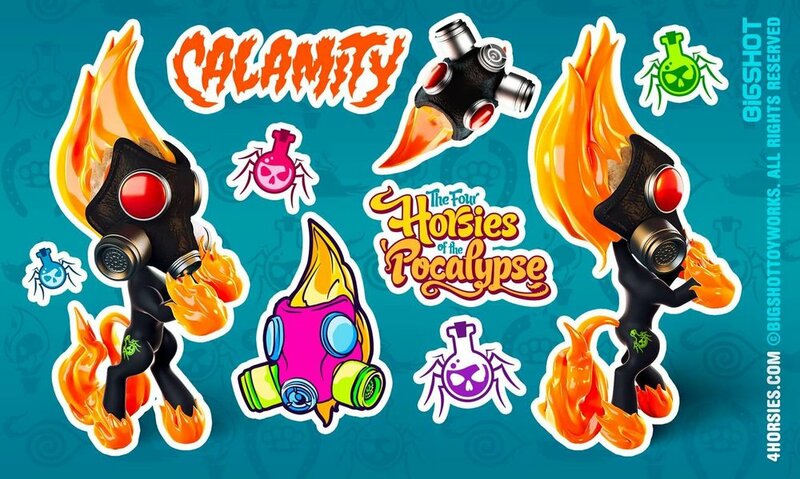 Meet Calamity (Pestilence), Raven (Famine), Clash (War) and Ghost (Death). 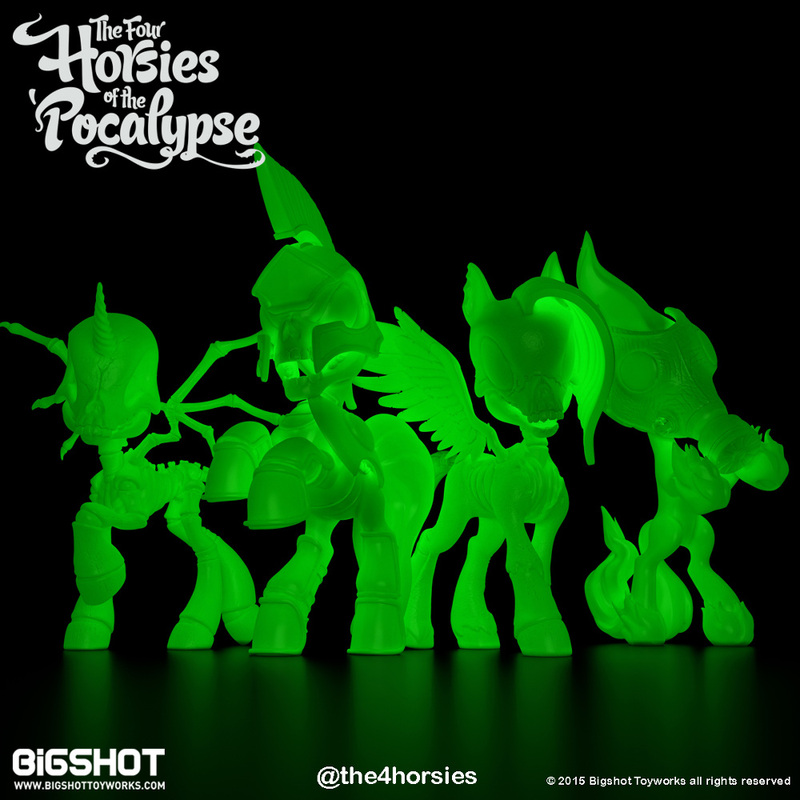 They’re the Four Horsies of the ‘Pocalypse (or at least they would be if they could only get their act together)! This next-generation of doombringers are on a mission to destroy the Earth, but to do so, they'll have to beat the likes of Queen Chroma and her rainbow sprite army! Too bad they can’t crack teamwork to save their lives. Led by Maddie (an older sister type with an affinity for destruction), these would-be Champions of Chaos are desperate to show their parents they've got what it takes to inherit the legacy. Cake and ice cream for eternity? Not if these freaky fillies have anything to say about it! 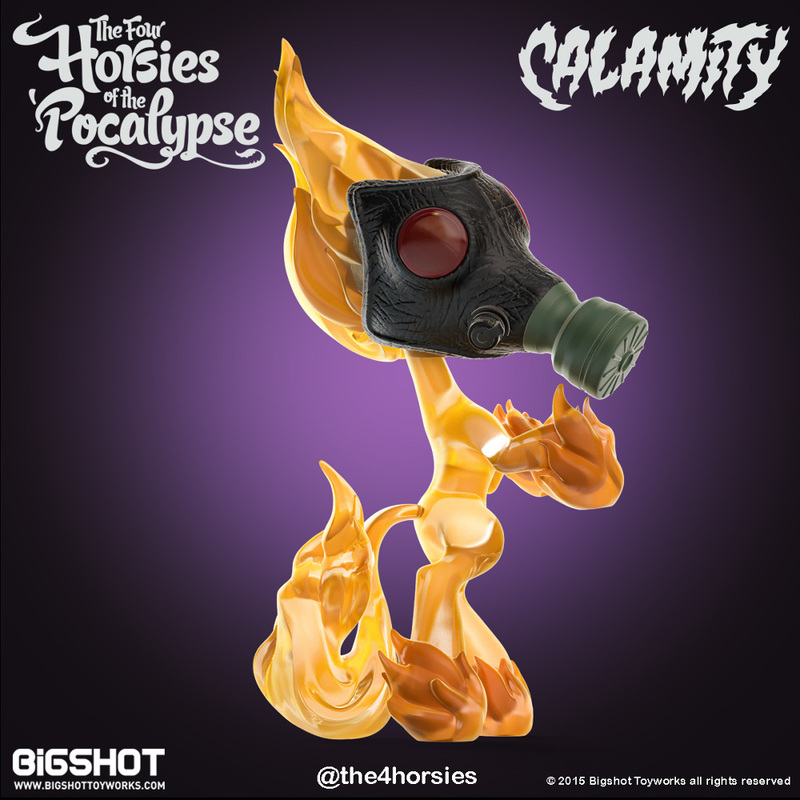 The Four Horsies of the 'Pocalypse is one of our biggest in-house projects, with two successful Kickstarters and over a dozen SKUs of collectibles, along with accompanying branded products. Please visit 4Horsies.com for more information.